3 Wonderful Gadgets That Will Help You Count Sheep At Night! Home Hardware Gadgets 3 Wonderful Gadgets That Will Help You Count Sheep At Night! Getting 8 hours of sleep per night is no more than a distant dream for many of us. Over 60% of adults experience problems nodding off every night. The knock on effects of a poor night’s sleep is a real issue for us, especially when it comes to producing a full day’s work. It can be a real pain when the boss is barking orders in our ear and all we really want to do is curl up into a ball and get 40 winks instead! Thankfully, there are some clever gadgets and aids that claim to help us get the full 8 hours, every night. Here is a sample of some of the best of them currently doing the rounds. This product is a sleep monitor that includes so much more than your average sleep aid device. It is not cheap, but the features and functionality more than justify the price tag. A headband connects you to the think-tank and relays vital sleep information from your body back to the monitor system. Each morning, your night’s sleep will be given a quality score depending on the amount of sleep and pattern that you experienced. It includes an alarm clock and switches between the three main sleep modes – light, deep and REM. You can also input different variables such as food, routine and stress level to find out how they affect your sleeping habits. 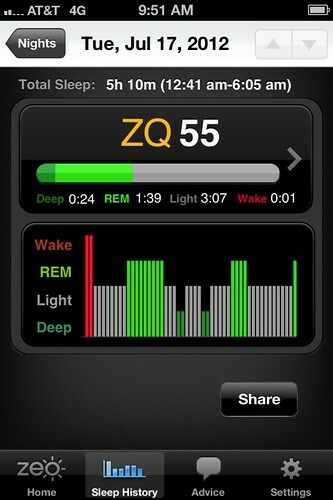 This is certainly one of the best sleep monitor available in today’s market! On first inspection, this pillow looks anything but comfortable, plus it feels like a bean bag and has some interesting ridges as part of the structure. But appearances are often deceptive and that is certainly the case with “The World’s Greatest Sleep Pillow”. By employing clever support techniques, the pillow allows you to sleep whilst keeping your head and next aligned correctly. If you suffer from any back or neck pain, you will soon be won over by this excellent sleep aid device. Costing just a little more than your regular pillow, we think this is a ‘must have’ product for all of those bad sleepers out there! There are many more sleeping aids currently available, if you feel like you need a helping hand, just Google ‘sleep aid’ and start looking forward to a better night’s sleep! Today’s guest author, Abbey Brooks, is a sales executive at CPAPonly, a leading CPAP machines supplier based in Australia. She is a hardworker and strives to perform well at her job. She enjoys listening to soft music in her spare time.